Prospex Oil & Gas plc is an AIM-quoted Oil & Gas investment company, which is building a sizable oil and gas investment portfolio, focusing on high impact, onshore and shallow, offshore European opportunities located in working hydrocarbon systems. 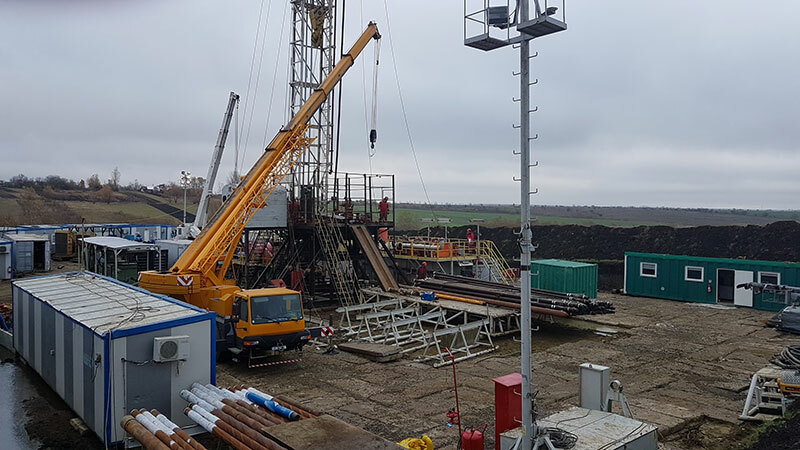 With a growing portfolio of interests and an expert management team in place, which has a proven track record of generating significant value in the sector, Prospex is well positioned to become a European focused oil and gas player. Prospex is building a sizable oil and gas investment portfolio, focusing on high impact, onshore and shallow offshore European opportunities located in working hydrocarbon systems. Utilising the team’s proven track record and global experience, the Company is looking to invest in low capex opportunities in Europe’s oil and gas sector with a particular preference for late stage, drill-ready exploration targets; existing fields which can be reworked; or failed exploration targets where new ideas and the latest technology can be applied. Once identified and acquired, the Company will seek to create tangible value across its core projects within a 12 month period in order to maximise the impact of its capital and balance its risk-reward profile. 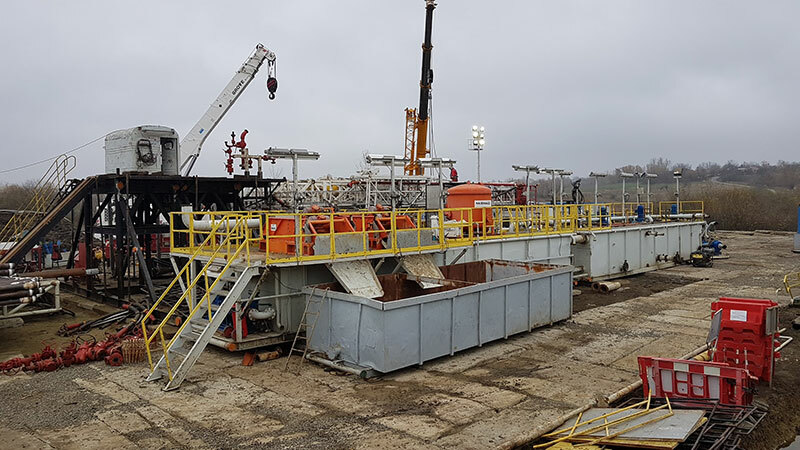 Prospex is building a sizable oil and gas investment portfolio, focusing on high impact, onshore and shallow, offshore European opportunities located in working hydrocarbon systems. Utilising the team’s proven track record and global experience, the Company is looking to invest in low capex opportunities in Europe’s oil and gas sector with a particular preference for late stage, drill-ready exploration; reworking of existing fields; or failed exploration targets where new ideas and the latest technology can be applied. Once identified and acquired, the Company will seek to create tangible value across its core projects within a 12 month period in order to maximise the impact of its capital and balance its risk-reward profile. Bill is a Canadian solicitor with 40 years of experience in corporate finance and is a director of a number of listed and private companies including: Orca Exploration Group (TSXV); Mosaic Capital Corporation (TSXV); and PFB Corporation (TSX). He was a senior partner of McCarthy Tetrault LLP in Canada and was subsequently Executive Vice President of two listed international oil companies and a listed investment firm. He has extensive experience including a number of start-up ventures in the oil and gas sector. Carlos is a geologist (BSc) with an MSc in structural geology and over 25 years in geophysical interpretation and oil prospect generation gained with Schlumberger, ENI, Sipetrol, and from his own Libya-based consultancy working for Petrobras, GDF, OMV amongst others. He is an expert in Mediterranean and African petroleum geology. Peter holds a degree in geology and an MSc in petroleum geology. He has 22 years’ experience in the international oil and gas industry working in New Ventures and Business Development, most recently building oil company JVs in West Africa, including Senegal AGC, Liberia and Equatorial Guinea. He has also managed exploration contracts and work programmes. Prospex currently holds a 15% interest and has the right to acquire up to a 49.9% interest in the Tesorillo Project (“Project” or “Tesorillo”) in Cadiz Province in southern Spain. Tesorillo, which contains a known gas discovery, could hold gross unrisked Prospective Resources of 830 billion cubic feet of gas (Best Estimate), with upside in excess of 2 Tcf, according to a Competent Person’s Report undertaken by Netherland Sewell and Associates (“NSAI”) in 2015. Tesorillo comprises two petroleum exploration licences, the Tesorillo and Ruedalabola Permits, which cover 38,000ha in total. Both permits enjoy excellent access to infrastructure, as the project is located 3.9km from the North African Maghreb gas pipe line European landing point, providing easy access to high priced European gas market. Tesorillo contains the Almarchal-1 discovery well that was drilled in 1956 by Spanish operator Valdebro. The well intersected a thick section of possible gas pay, including some zones which flowed gas to surface on testing, and is located on a gravity and seismically delineated thrust ramp anticline, with closure area exceeding 70km2 and multi-Tcf potential. Drill Steam Tests and log analysis confirm 48m of gas pay from two Miocene Aljibe Formation sandstone intervals, with a further 492m of potential gas pay interpreted from logs yet unconfirmed by testing. 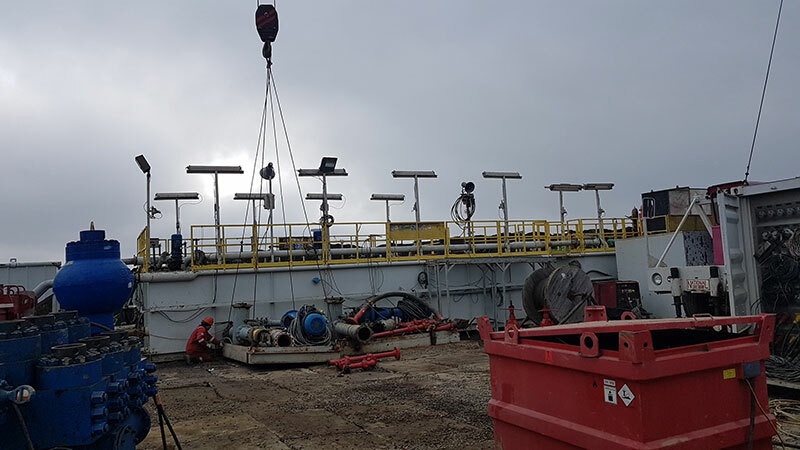 The ongoing work programme, undertaken by the operator and licence holder Tarba Energia S.L. 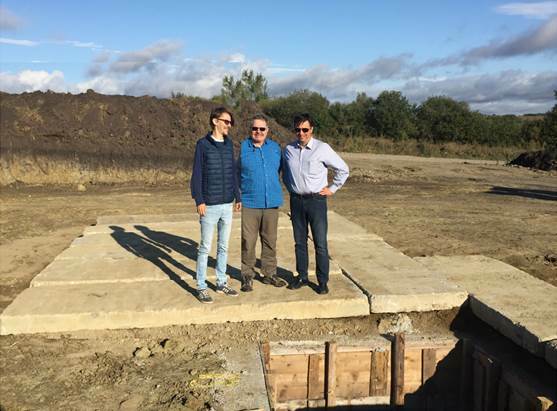 (“Tarba”), is aiming to test the known gas bearing sandstone sequences, and focuses on de-risking a known gas discovery on Tesorillo. A Competent Person’s Report by Netherland Sewell and Associates (“NSAI”) in 2015, estimated Prospective Resources of 830 Bcfg (Best Estimate), with an upside of more than 2 Tcf. The 2018 field programme consisted of three strands. Firstly, general field studies, paramount to the Environmental and Social Impact Assessment (‘ESIA’) report. The final steps for the report e.g. the hydrogeology, are well location dependent and will be completed once the drilling location has been confirmed. Next, a detailed surface structural geology mapping exercise was undertaken, which provides further geological insight to the exploration targets. Finally, the Company is conducting an Audio Magnetotelluric survey (‘AMT’), for which multiple tests have been completed over important areas. The tests are currently being processed. 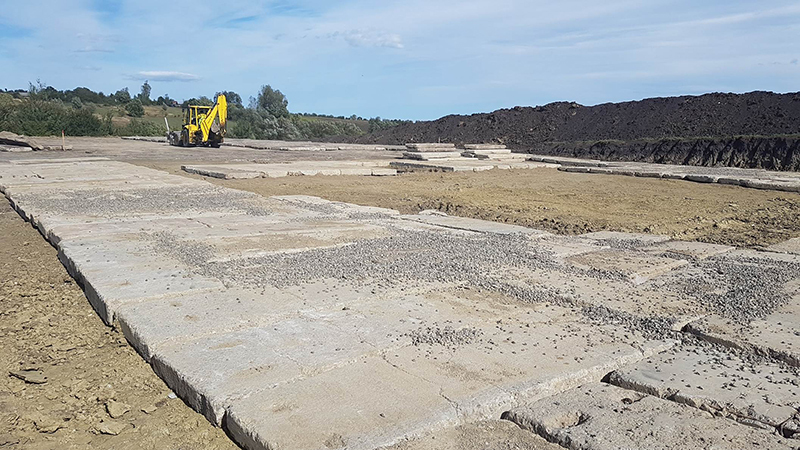 Depending on the results, as well as access to the original raw seismic data, Tarba, may seek to complete the full programme in 2019. The AMT survey will assess the subsurface geology on the licence area, and test for resistivity, serving as an additional indicator of hydrocarbon presence. Ruedalabola contains the 1957 Puerto de Ojan-1 well, located 15km to the east of Almarchal, which displayed similar gas shows to Almarchal-1 but couldn’t be tested for mechanical reasons. Prospex has the option to acquire up to 49.9% of Tarba, which has a 100% interest in Tesorillo. Prospex originally acquired 2.5% of Tarba in December 2017. In December 2018, Prospex exercised an option to buy another 12.5% and currently holds a 15% interest. The Company has the option to increase its overall interest to 49.9% by obtaining 34.9% of Tarba’s for €1,725,000. This option to increase its interest to 49.9%, would likely follow an agreement to undertake a drill programme at the project. For more information on Tarba, click here. 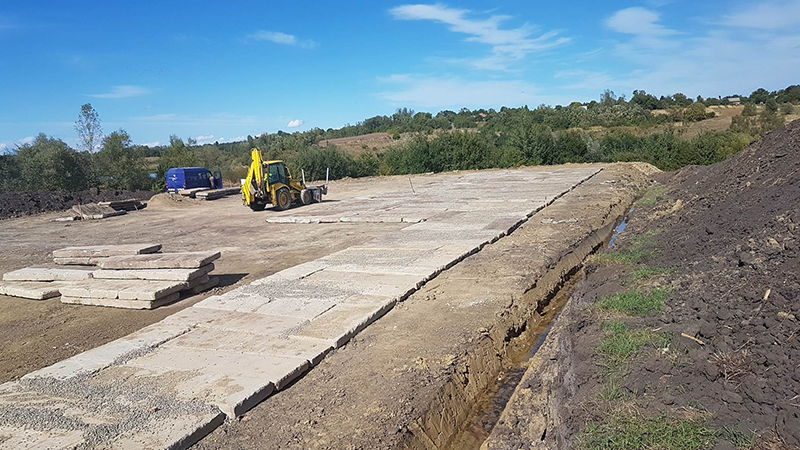 Prospex has a 50% economic interest in the Exploration Area of the EIV-1 Suceava Concession in Romania. Suceava is located in a proven hydrocarbon basin in North East Romania. The 980km2 Exploration Area holds the Bainet gas field which is currently in production, an undeveloped discovery (Granicesti SE-1) and a number of prospects and leads at various stages of development. The balance of the Exploration Area interest is held by Raffles Energy S.R.L. 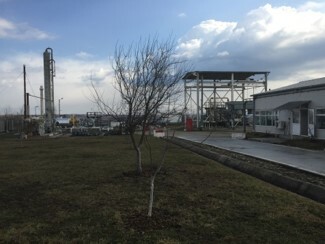 (‘Raffles’ or ‘the Operator’), an established gas producer in Romania. 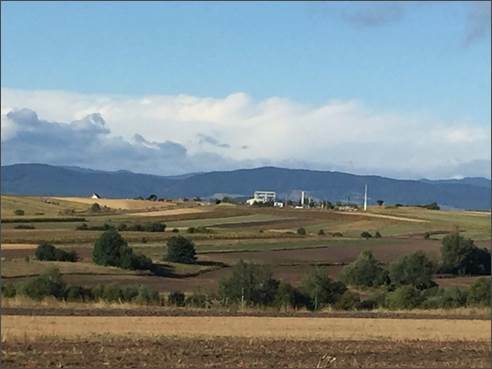 Suceava also contains two producing gas fields, Climauti and Dornesti South, which are operated by Raffles. 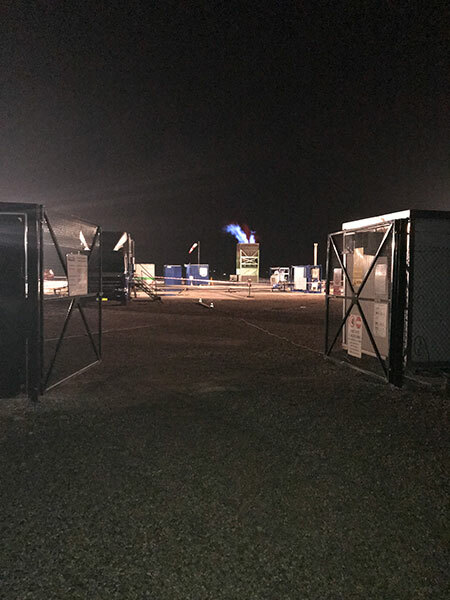 While these existing fields are not part of the Exploration Area in which Prospex has an interest, they do serve to demonstrate the presence of a working hydrocarbon system. 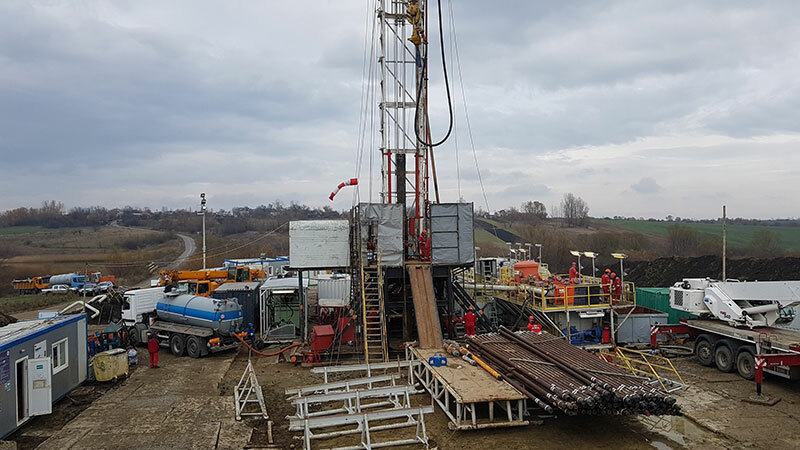 Bainet-1 was drilled to a total depth of 600m and encountered 9m of reservoir with 8m net gas pay, consisting of good quality Sarmatian sandstone reservoir, similar to that found in the producing fields of the Concession, as well as in analogue fields of the Bilca Gas Production Area, in the adjoining EIII-1 Brodina Block. 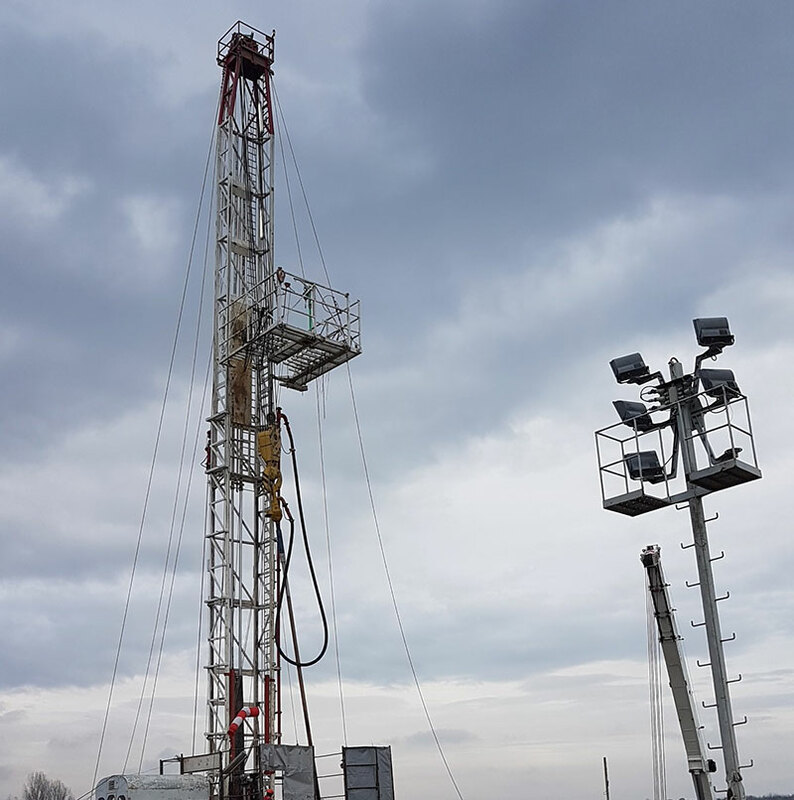 Flow testing of the well, indicated natural gas containing over 99% methane, which flowed at a rate of approximately 33,000scm/d. Bainet-1 was completed as a producer. Bainet gas field is on experimental production at an initial rate of c. 0.7mmscf/d (approximately 20,000scm/d). The produced gas is sold to the national grid owned by Transgaz, at the Romanian market prices of c. €6 per mcf. The well Bainet-1, has been connected to the Raffles operated Bilca gas processing plant, via a 2.2km flowline tie back to the existing infrastructure. Granicesti SE-1 was discovered in 2005 by a well which was drilled to c. 2,300m by a previous operator who was targeting a deeper oil target. 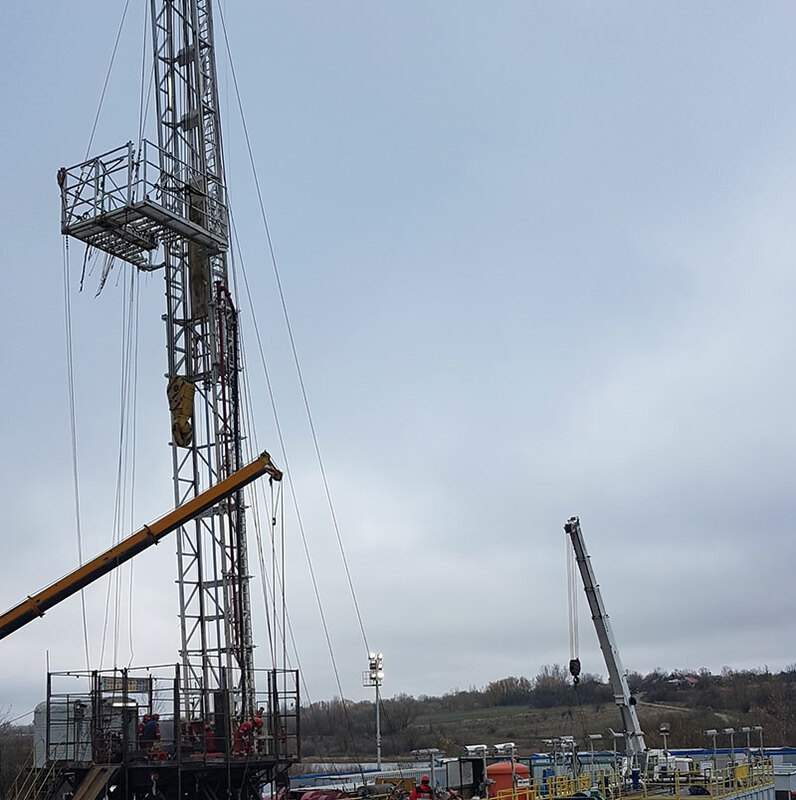 The well flowed gas at a rate of 1.2MMscfpd/d over a limited short test from the Sarmatian reservoir at a depth of ca 550m. 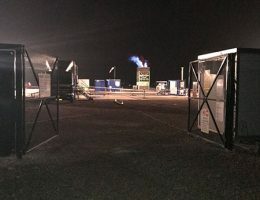 Once access to land has been secured, Prospex and Raffles intend to work over and recomplete the well as a gas producer. 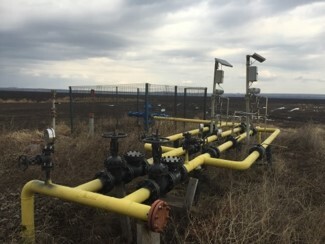 Granicesti SE-1 lies within 1.5km of a high-pressure pipeline grid operated by Transgaz. The Exploration Area offers significant scope to drill additional low cost, low risk wells targeting gas. To date, four additional prospects and one lead have been identified by the operating group. Prospex estimates the aggregate gross recoverable gas (unrisked) in a range between 17 and 56 Bcf using standard probabilistic methods. 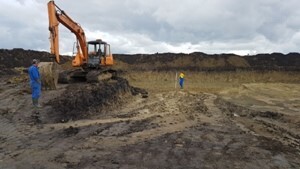 Prospex’s 50% interest in the EIV-1 Suceava Concession is held via its 100% owned subsidiary PXOG Massey Ltd, which is party to the Joint Operating Agreement (‘JOA’) that assigns income and costs relating to activity on the exploration area in line with the proportional ownership. 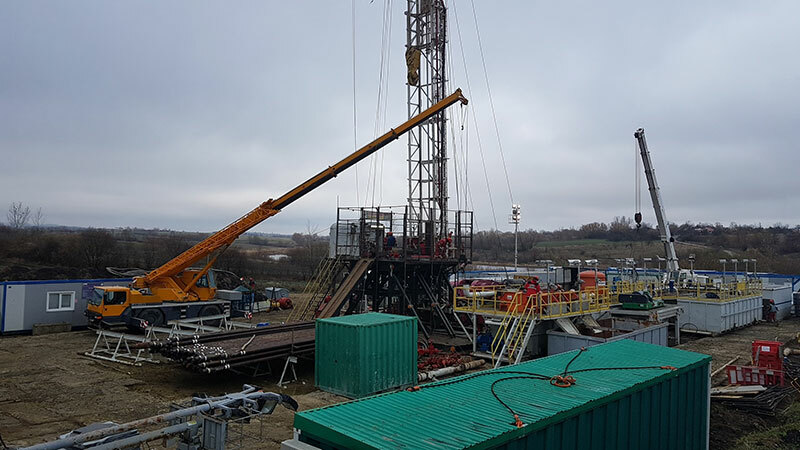 In addition to being a party to the JOA under the Asset Purchase Agreement, Raffles has assigned to PXOG Massey Ltd a 15% working interest of the Petroleum Agreement for the Suceava Concession. These assignations are approved by National Agency for Mineral Resources (‘NAMR’). 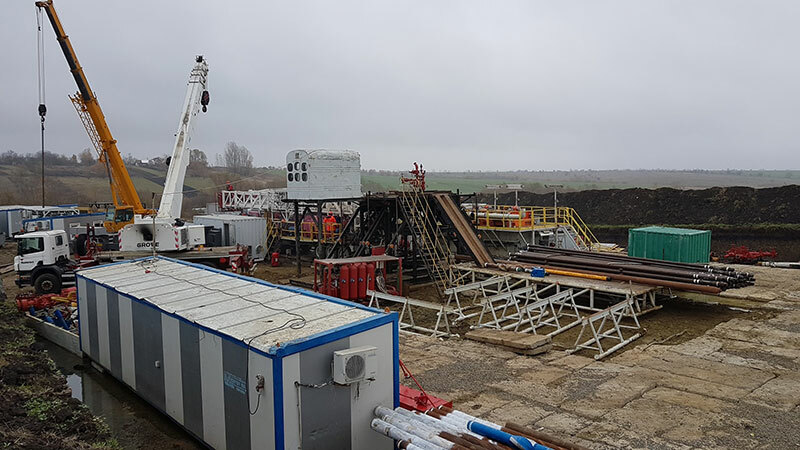 Prospex has a 17% working interest in the Podere Gallina Exploration Permit, which is located onshore northern Italy in the Po Valley, a proven hydrocarbon province where over 5,000 wells have been drilled historically. Podere Maiar-1d well was drilled in Q4 2017 into the Selva Gas-Field (previously operated by ENI), which historically produced 83 Bcf between 1960 and 1984 from Lower Pliocene gas sands before being shut-in in 1984, at which point it was still producing at >0.9 Bcf per year. 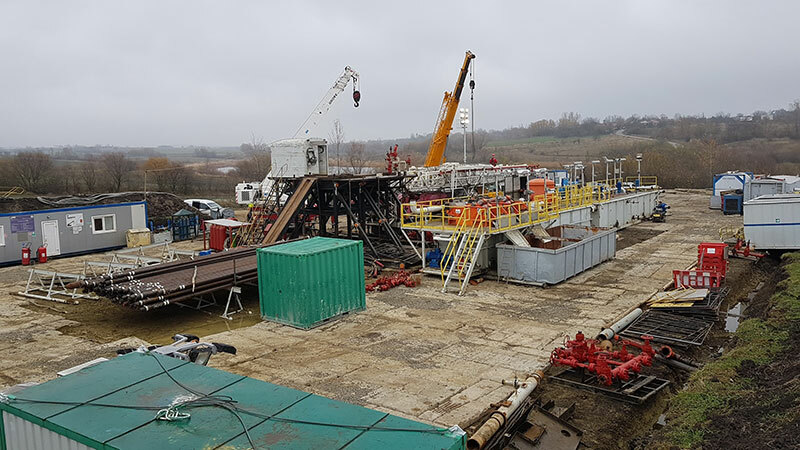 In December 2017, two gas bearing reservoirs, C1 and C2, were encountered in the Mid-Upper Pliocene sands of the Porto Garibaldi Formation. C1 and C2 had peak flow rates of 148,136scm/d (5.2mmscf/d) and 129,658scm/d (4.6mmscf/d) respectively on an 3/8 inch choke, achieved during production testing in January 2018. The Selva gas development project requires limited additional capex to put Podere Maiar-1d on production, due to nearby infrastructure and minimal gas processing requirements, as the Selva gas is high in methane (99%) and has low liquids content. In February, 2019 Independent Competent Person’s Report assigned gross reserves of 13.3 Bcf in the main Selva field. The Operator, PVE, is highly experienced in developing similar sized fields. The production is due to commence in 2020. Prospex has been advised by the operator Po Valley Energy Limited (‘PVE’), that the production concession application has received preliminary approval from the Italian Government to develop the Selva Malvezzi Gas-Field (‘Selva’), covering an area of 80.8 km2. This will comprise the installation of a fully automatic gas plant with capacity to produce 150,000 cm/d (5.3mmscf/day) of gas. The primary prospect is East Selva. It is located on the same play trend as the Selva field and also the larger Minerbio Field to the northwest in the adjacent licence (see map above). The proposed production area contains significant further upside. During the second phase of the development plan (determined by 3D seismic results), PVE intend to drill additional wells to substantially increase the size of the natural gas resources. 3D seismic will be acquired (subject to JV approval) in H2 2018 and H1 2019. Subsequent drilling operations are likely to take place in the area’s highly prospective Selva East, Selva South Flank and Riccardina prospects. Prospex has a 17% working interest along with PVE at 63% and United Oil and Gas at 20%. Significant further upside remains in the concession. During the second phase of the development plan (determined by 3D seismic results), PVE intend to drill additional wells to substantially increase the size of the Selva natural gas resource. Drilling operations are planned to take place in the field’s highly prospective Selva East, Selva South Flank and Riccardina prospects; all of which are situated within the production concession application area. 3D seismic will be acquired (subject to JV approval) across the aforementioned areas in late 2018 and early 2019. East Selva lies along the same play trend as the nearby Minerbio and Selva fields. The field has estimated 35 Bcf recoverable prospective resource, according to the historic CPR by CGG Services (UK), dated 25 July 2017. A 3D seismic acquisition survey has been proposed over the exploration prospects, aiming to mitigate the high risk that has been identified in the CGG CPR, due to sparse seismic coverage. Fondo Perino prospect also lies along the same play trend as Minerbio and Selva fields, and has estimated 14 Bcf recoverable prospective resource, as stated in the CGG CPR. Lastly, Cembalina, with estimated in the CGG CPR 3.3 Bcf recoverable prospective resource, is another identified exploration prospect in the permit. The Board is committed to maintaining high standards of corporate governance. To assist the Board in reporting to shareholders’ and to provide a framework to gauge action against, the Company has adopted the QCA Corporate Governance Code, which is widely recognised. The Board believe that the governance practices at Prospex are aligned with the ten principles of good governance set out in the Code, which are explained in the Company’s Corporate Governance Report. This report also explains some variations in Prospex’s adoption of the Code where they exist. To read Prospex’s Corporate Governance Report, please click here. Furthermore, as part of the Company’s Corporate Governance policy, the Board has established Audit and Remuneration Committees. The Board is committed to creating value for shareholders; determining strategy, investment and acquisition policy; approving significant items of expenditure; and considering significant financing and legal matters. The Remuneration Committee consists of Bill Smith and Richard Mays, who also chairs the committee, and is responsible for making recommendations to the Board, within agreed terms of reference, on the Company’s framework of executive remuneration and its cost. The Committee determines the contract terms, remuneration and other benefits for any executive directors, including performance related bonus schemes, pension rights and compensation payments. The Board itself determines the remuneration of the non-executive directors. The Audit Committee consists of Richard Mays and Bill Smith, who also chairs the committee, and provides a forum for reporting by the Company’s external auditors. The Committee is responsible for reviewing a wide range of matters, including half-year and annual results before their submission to the Board, and for monitoring the controls that are in force to ensure the integrity of information reported to shareholders. The Committee advises the Board on the appointment of external auditors and on their remuneration for both audit and non-audit work, and discusses the nature, scope and results of the audit with the external auditors. The Committee keeps under review the cost effectiveness and the independence and objectivity of the external auditors. Prospex Oil & Gas plc is an AIM-quoted Oil & Gas investment company. For a full description of the Company, please go to About Us. The Company’s Investment Policy, which was adopted on 11 May 2016, can be found here. The Company was Incorporated in the United Kingdom and the Main Country of Operation is the United Kingdom. The Company is listed on AIM, under ticker PXOG. The number of securities in issue is 1,213,593,136. The total percentage of shares not in public hands is 2.23% defined as being beneficial holdings of shares held by shareholders holding above 10% and the directors holdings. In addition, Management hold 95,584,220 options representing 7.88% of the enlarged issued share capital.